“I made warka!” I cried, as I skipped around town. “Hello, man putting air into your tires! I made warka! Hello, woman trying to parallel park her enormous SUV on the wrong side of the street! I made warka! Hello, young mother hurrying by with your child and shielding her eyes from the madwoman singing about warka! I made warka!” And then all of the inhabitants of the picturesque little town joined me in a synchronized dance and a stirring rendition of the warka song. Okay, none of that really happened. But I was so excited about making warka that I felt like telling total strangers on the street. 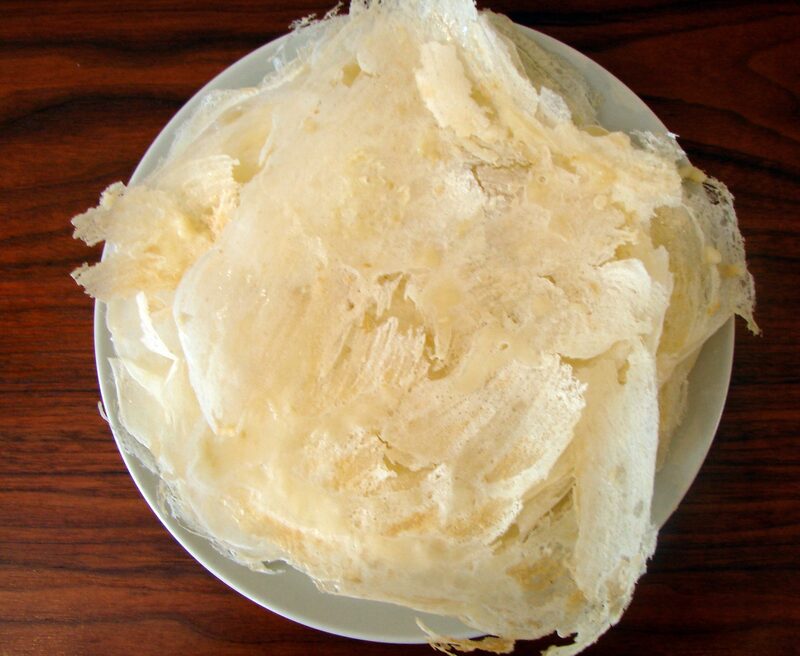 Warka is a paper-thin dough, somewhat like phyllo but even thinner. It’s one of those things you don’t imagine anybody can actually make in real life. But it can be done! It’s not difficult, and it’s actually kinda fun. Here’s how it all began. I’ve been dreaming of making a vegetarian version of a moroccan pastilla for months. The combination of sweet & savory sounded so intriguing to me. The idea of eating pigeon did not! Well, the other day we had a street festival in town. As festivities were winding down and people were packing up, my two young children began playing with the children of the woman running a stall across the street. I started talking to their mom. She’s from Morocco. 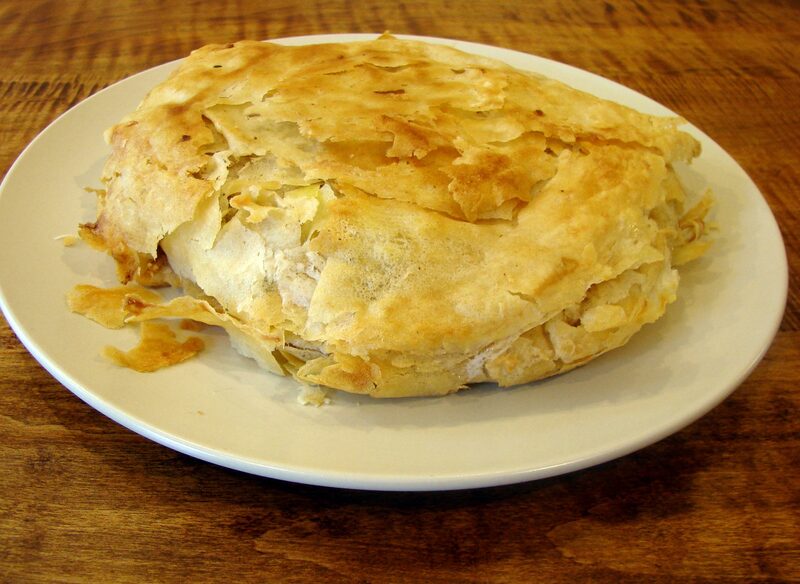 Being a crazy person, I (almost) immediately said, “Do you know how to make pastilla?” Of course she did! I told her I was vegetarian, and she advised me on the vegetables to use, and how to prepare them, and how to arrange all the layers. She suggested phyllo dough. But can’t I make my own? I asked. Ah yes, she said, and she told me how. She suggested equal parts flour and water. I ended up using a bit more water, and added a bit of lemon juice and oil. 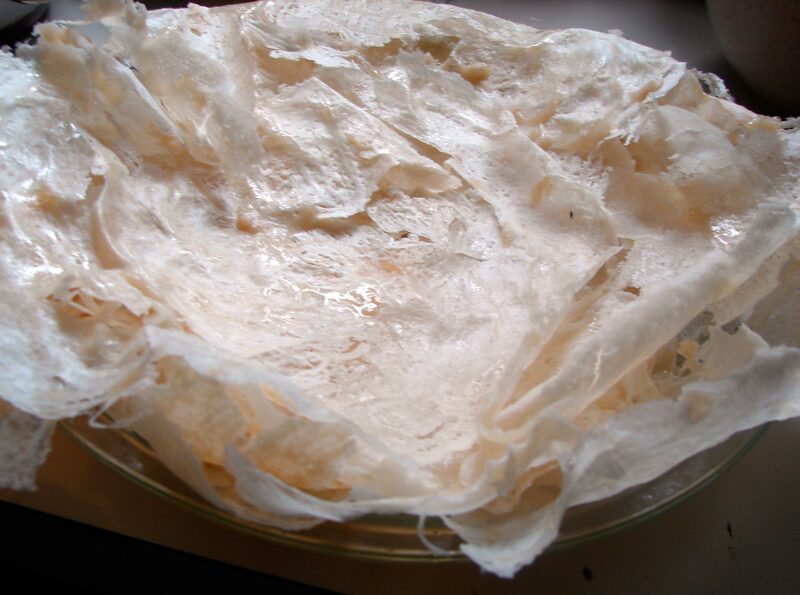 I’d seen this post on making warka, and I tried to incorporate some of the methods contained therein with the advice of my new friend. I used a non-stick griddle. I put it right on the burners, though. The first one came out a little messy, but I got better as I went along. It doesn’t matter if they turn out super flaky, because after you pile enough of them on top of each other, they make a more cohesive whole. The pastilla itself was very delicious, but there was a bit of a disconnect between my expectations of when you eat cinnamon sugar almonds, and when you eat garlic, turnips and shallots. The more I ate, the more I got used to it, and the better it tasted! I’ve just been reading about Gnawa music. Fascinating!! Here’s Gnawa de Marrakech with Lalla Mimouna. I think it’s so beautiful! Whisk everything together to form a smooth batter. Let it sit for about one hour. Warm a non-stick pan or skillet over medium-high heat. You want it to be quite hot. As you get going, you might find the crepes burning in the center before the edges have risen. If that happens, turn the heat down a smidge. When you’re ready to go, dip one brush in olive oil and very lightly oil the skillet. DIp another brush in batter. In a circular motion, lightly “paint” a round of about 10 inches diameter on the skillet. You will end up making a few passes and layers, I let the layers criss-cross each other. You want it to be thin enough that you can see through it, but not completely transparent. 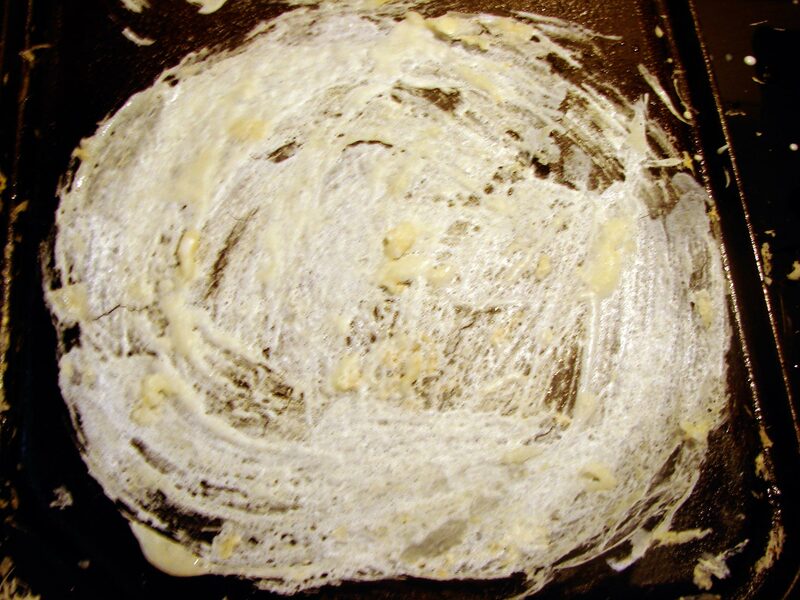 If the batter cooks on your brush, wash it off between pancakes. After a couple of minutes, the batter will look dry and papery, and the edges will lift. Using your fingers and a spatula, lift it off the skillet, and put it on a plate. Brush it lightly with olive oil. Set the next on top and brush that lightly with olive oil. Continue until you have a big fluffy stack of paper thin crepes. As you go, you’ll begin to learn how thick to make each brushstroke, and how many layers you’ll need. I made mine like a nice thin paper, not quite tissue-thin. If you have any bits and pieces of crepe, pile them between to more well-formed crepes, it will all become part of the final product. Once you have a big pile, you can set them aside till you’re ready to use them. melted butter for brushing everything. Warm the olive oil in a frying pan over medium heat. Add all the veg, and stir and fry until they’re quite dry. Maybe ten minutes. They’ll become quite reduced in size, and will start sticking to the bottom of the pan. Add the garlic and cook till that’s brown and cooked through. Put everything in a bowl, add the spices, salt and pepper, and set it aside. Warm a small frying pan and melt 1/2 T butter. Add the almonds and fry, stirring, until they’re starting to brown. Let them cool, and then process them with the cinnamon and sugar until they’re nice and crumbly. Set aside. Generously butter an 8 inch pie dish. 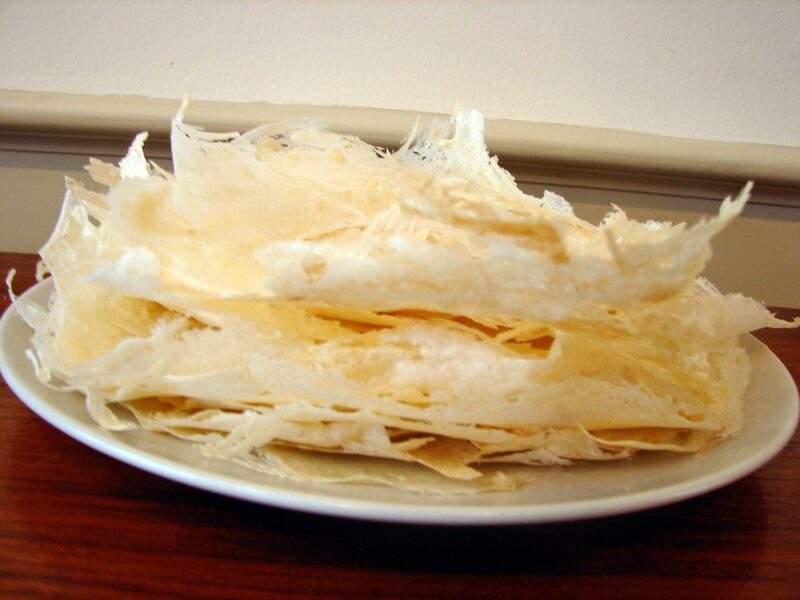 Arrange the warka in overlapping layers on the bottom, and let the edges hang over the sides quite a bit. Save two nicely shaped pieces of warka for the top. 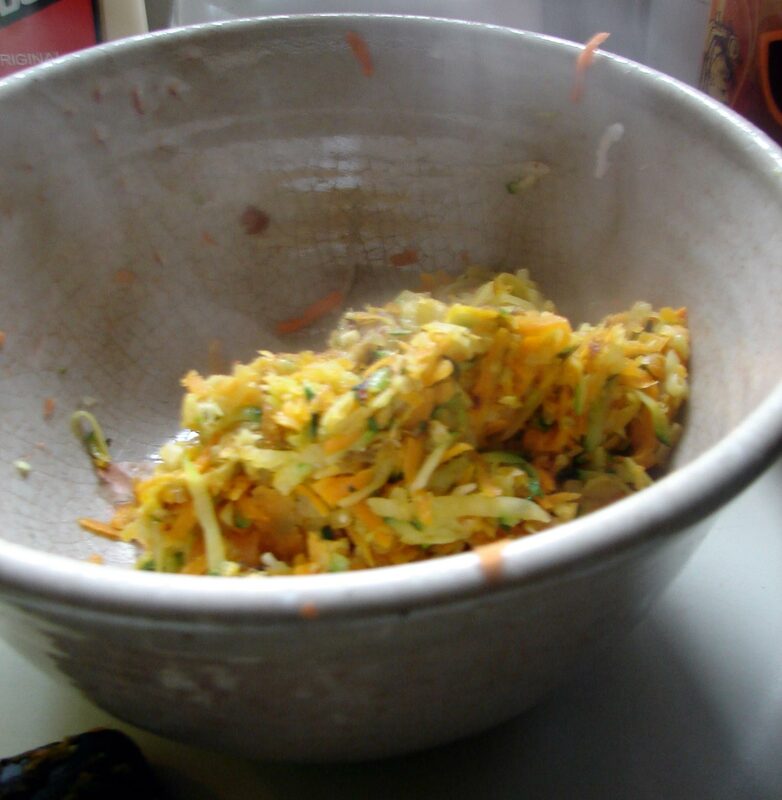 Spread the vegetable mixture in a 6 inch round on the warka. Spread the eggs & shallots over that. Spread the almonds over that. Wrap the edges of the warka around the top, and brush with butter. Arrange the last two sheets on top of everything, and brush them with butter, too. If you have extra butter, pour it down the sides. Bake for about 10 or 15 minutes till the top starts to brown. 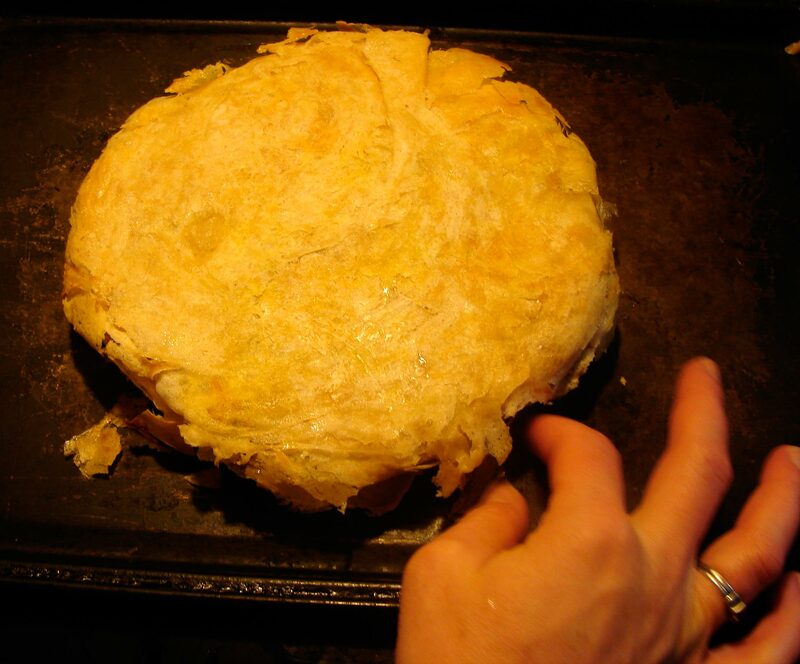 Then carefully hold a baking sheet over the pie dish, (use potholders or towels!) and flip the pie onto the baking sheet. Continue to bake till the top is brown again. Maybe another 10 minutes. When it’s done you can serve like that, or flip it back onto a plate. 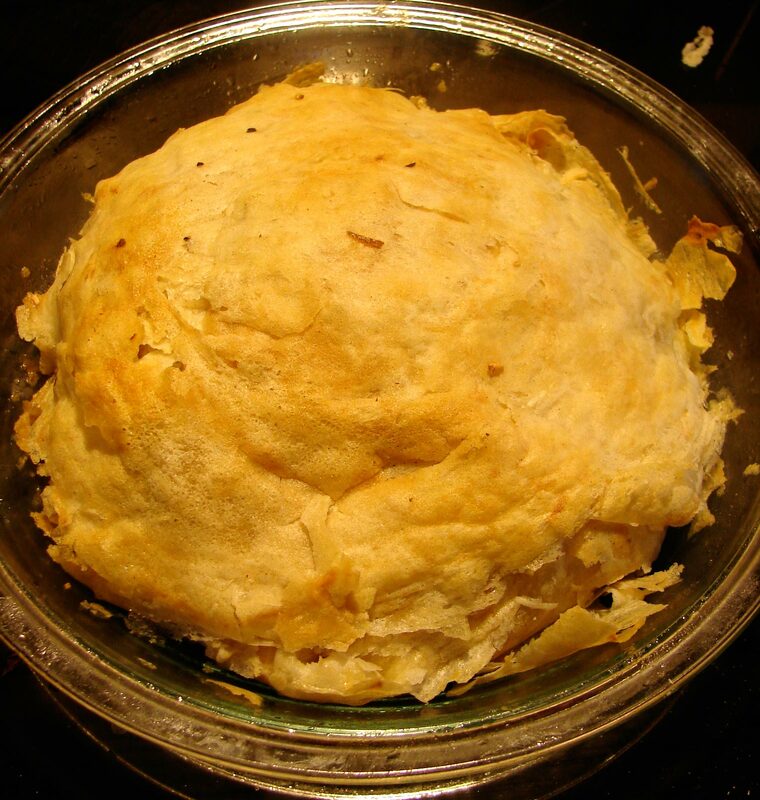 This entry was posted in basic pie filling, crust, pie, recipe and tagged almonds, carrot, cinnamon, moroccan, pastilla, savory pie, savory sweet, turnip, warka, zucchini by Claire. Bookmark the permalink. Is that a piece of Brazilian Rosewood behind the WARKA? It’s American walnut. Pretty, isn’t it? It looks so much like Brazilian Rosewood which is now very rare, some years ago the Brazilian govt. banned it’s export. Once when I was a woodworker I bought a large amount of it and used it for everything for a while. The ultimate was an 18″ salad bowl that wound up in the LA County Museum; long time ago…. I still have a 36″ table of it in the living room. Bravo for trying, and succeeding at your warka! It’s extremely difficult. Your vegetarian pastilla filling was excellent. I served it as a single portion, made in a small shallow gratin dish, for a vegetarian friend alongside the traditional Moroccan pastilla for everyone else (recipe – Claudia Roden’s Mediterranean Cookery). 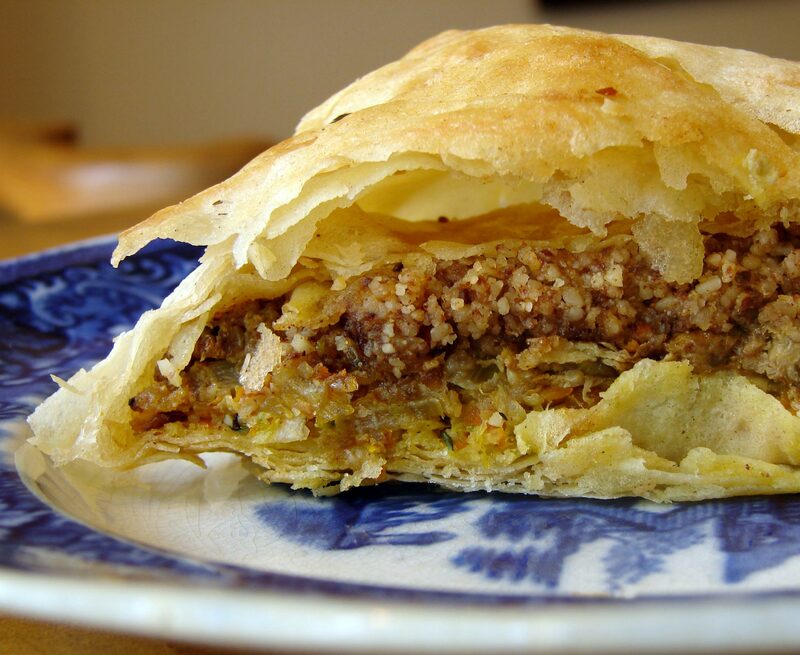 I had Pastilla in Morocco & they cooked it with Argan oil which taste awful!